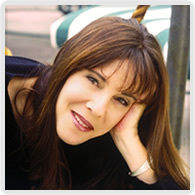 Jungle Red Writers: Amy Ephron's "Loose Diamonds"
HALLIE EPHRON: Today I'm happy to introduce my sister Amy Ephron to Jungle Red. I played 'good daughter' to her 'troublemaker' -- I crossed at the crosswalk and she danced on the double yellow line. I always wanted to play "school" and she never wanted to be the student. AMY EPHRON: I'm happy to play school, any time you want to and if you want, I'll even sit in the corner. HALLIE: Now she tells me. I love Amy's book of essays, "Loose Diamonds…and other things I’ve lost and found along the way," which is just out in paperback. 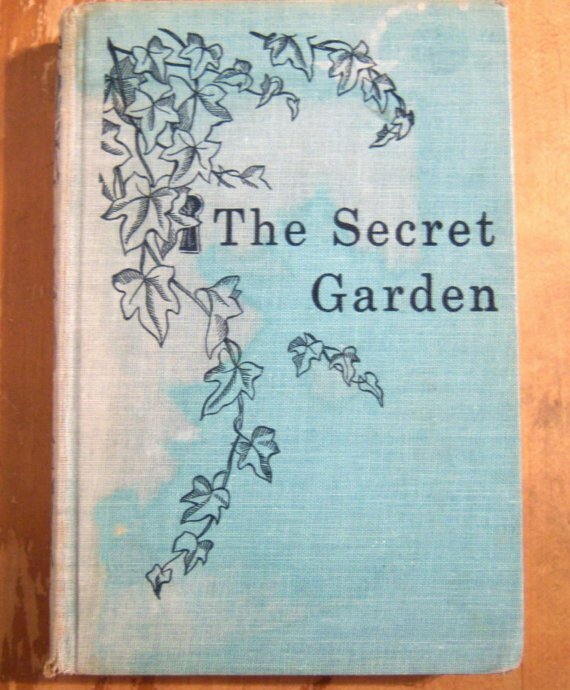 I was gobsmacked when I read the very first essay, that she and her friend used to play "Secret Garden" (which was my favorite book, too) by conjuring a plan to sneak into our next-door neighbors' garden where they'd dig up weeds and uncover baby crocuses. Of course they found neither. I would never in a million years have snuck into a neighbor's garden (see "crosswalk" above). And frankly it astonishes me to discover that Amy was going about having a life when I wasn't there to tell her what not to do. And now I get to ask: Where did you get that adventurous spirit, that questioning of the rules that may have driven my parents' nuts but has served you so well as an adult? AMY: Answer: Total lack of competent adult supervision. But more than that, I remember feeling very adventurous and confident as a child, which in retrospect makes no sense as we really lived in a somewhat dangerous environment. But curious and interested was a part of my nature (and somewhat mischievous, although I wasn't really a trouble-maker). I also think in some ways what attracted you to mysteries is somewhat the same thing: that on the outside everything looked fine, but really we were all holding onto a secret that no one else knew, which can be the basis of a very good mystery. AA wasn’t in vogue, therapy wasn’t fashionable, and our both our parents were on a collision course of their own. Secrets. HALLIE: In the opening essay "Loose Diamonds" you talk about losing things but cherishing the memories, which I think is so poignant. I confess, I sometimes deliberately "lose" things -- like an amber glass bud vase that I got as a wedding present. Do you? AMY: Who gave it to you? Why did you lose it? Did it have a terrible shape or a terrible history? HALLIE: Not saying who (my secret!) It was, ahem, not my taste and because of who I am I knew I'd have to put it out...somewhere. So I put it out of its misery. AMY: I think one of the things about “Loose Diamonds…and other things I’ve lost and found along the way” is that it involves questions like that, loss, intentional or unintentional loss, touchstones, tricky relationships, marriage, divorce, post-modern life, the difficulties of being a woman, the difficulties of modern life, and we all have them – and there’s a bound-in readers guide that I spent way too much time on that’s exactly about that. Confession: I think I once left my Filofax on the back of my car intentionally because someone I was involved with wasn’t calling me back and he had a really unlisted number and I was scared I’d call him four more times. By the way, I inadvertently did lose my Filofax again last week when I was unceremoniously dumped out of a cab in Charlotte, North Carolina in a torrential downstorm, the last night of the DNC and everything fell out of my computer case and I was so upset about my moleskins which had notes in it, I missed that the Filofax had dropped. The convention was amazing. But since I doubt there’s a lost and found – although you never know, I’m going digital. HALLIE: What I love about these essays is that they sound just like you! You run off with an idea like an meandering stream -- you start with the red patent leather shoes that got you thrown out of The Buckley School, wander through musings about Mom and her egg cups and chutney dishes, and wind up in a very sad place that I won't spoil, and a lovely Aha! moment. 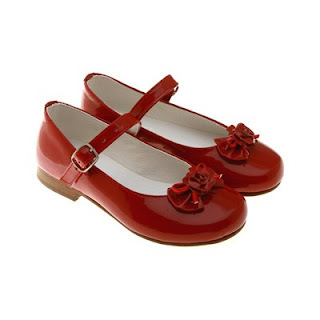 Can you tell us a little about how your writing and how you get from the red shoes in an essay to the end? AMY: I don’t know, it’s all a little elliptical, I love the sort of lyrical concept of starting one place and ending up in another. I hate outlining cause I think it limits where you might end up, what left turn you might take along the way. I have signposts with my work – but I hate to outline. One of the things our parents used to do, despite dysfunction, is family dinner. The big thing was to bring out the old Louis Untermeyer poetry collection and we would pass it around at dessert and all read a piece and through that, I think we all got a sense of (or I did anyway) sort of lyrical minimalist conceptual writing that in some ways is similar to poetry and it was always so interesting to see what each of us picked and how we delivered it. AMY: But I don’t believe in rules, structural or otherwise, I think the ‘you can’t get married after 30' thing is ridiculous and ‘you can’t get a job after 42’ is counter-productive. We live in very changing times. In some ways, I think I got this from our mother who never questioned that she could be successful and that she could break a glass ceiling. Glass ceilings come in all shapes and sizes. HALLIE: The one thing that all the Ephron sisters share is being opinionated. Amy, did you ever start an essay thinking you were writing with one opinion, and gotten to the end and changed your mind? HALLIE: (Laughing.) I think I knew that. And let's end with just a bit about how to reach you and your wonderful web site for foodies, One for the Table. AMY: Thanks for having me! Please follow me if you want @amyEphron (twitter & facebook) or at AmyEphron.com, I’d love to hear what you’re doing. And if you have a recipe or a piece you want to post about emo and food or your mother’s favorite recipe, or a political screed, or a fight w/your iphone, pls pls send it to me at ("Editor" at "oneforthetable" dot com) the on-line magazine I publish that specializes in food, politics, and love, and that sometimes has the pleasure of guesting Hallie Ephron. HALLIE: So, gentle Reds, did you and your sister inhabit alternate universes? And what "loose diamonds" have you lost? Good morning! A wonderful post to read first thing today. Welcome, Amy. I have three sisters (no brothers; no nephews) and, at times, I've wanted to lose each of them! I remember taking a psychological test once that asked "have you ever wanted to kill anyone?" and I had to explain that, as the oldest of 4 girls, of course I've wanted to kill someone; have you ever had a sister, let alone three of them??? (I passed the screening.) Now that we're all adults (my birthday was yesterday and I'm looking at it as being only a year away from social security rather than being 61) we get along fine. I got caught in that rain in Charlotte last week, too. The convention was amazing but my shoes got filled with water in no time. But I didn't lose anything. I'll admit that I usually don't read short stories but how can I pass on a recommendation from JRW. I'll look for your book. Thanks! Wishing you all the best luck with the book, Amy. The subject matter sounds interesting. Too bad today's reality TV shows weren't around in the days of the Ephrons. Marianne, I'm having that same birthday, smack in the midst of Bouchercon this year. It's a good thing to be an adult, but I'm constantly astonished at how some people hold onto that childhood sibling rivalry, long past sense. My mother and her five sisters (and three brothers!) are still playing out those same old themes. I envy you, Hallie and Amy, having intelligent sisters with whom you can relate. My sister and I might as well have been raised on separate planets, we're so different, and she does not recall any of our childhood the same way I do. Fortunately, I have a "sister of choice", my closest friend, who has two sisters who don't get her. They still think of her as "the baby", and treat her accordingly. I see the same thing playing out with my own three daughters; the oldest one tends to dismiss the youngest--who is 17 years younger than she--because she still thinks of her as her bratty little sister. Never mind she almost has her doctorate in microbiology, is married, and her husband is deployed. We also had the Secret at our house. Toughens you up, doesn't it? Marianne - laughing out loud, literally here, because I DID try to kill Amy. Once inadvertently. Now THAT'S a nightmare, Jack Getze! What are you saying? I coulda been a Karadasian? How wonderful to hear two Ephron sisters bantering. Even more amazing is that I started reading Delia's The Lion is In yesterday and stayed up way too late because I love it so much. Must be Ephron sister week! I have two older sisters and I was more like Amy than Hallie: I was the one who did the risky stuff, the attention-getting stuff, the (in my mind) fun stuff. And the three of us do have different experiences of growing up despite each being less than two years apart. Luckily, we have remained friends as adults and are now a kind of joke intro line: A Mormon, a Buddhist, and a Quaker walked on the beach... (can't get either of them into a bar, unfortunately). I bet the Ephrons would be a lot more entertaining than those K people! The poetry reading dinners sound like fun. I'm the middle of three sisters, born in a 33-month span. They are fair-haired, I am dark (literally, no subtext Jack.) They are straight, I am not. They stuck close to our hometown. I moved away. Our courses have always been based on different compass bearings. Now that we are in middle age, we try to appreciate each other for who we are. Sometimes that is easier than others. My sister and I are as different as the proverbial chalk and cheese. Hallie, how did you "inadvertantly" try to kill Amy? My sister once inadvertantly stabbed me with a pair of scissors. I'm an only child which is maybe why I'm so fascinated by the connections existing among sisters. I also tend to seek out novels that explore these connections - either concerning sistes, or close women friends. This was a fun piece for me to read this morning - Thanks to you both! I am a huge fan of personal essays and am now on my way to find "Loose Diamonds." Hi Amy! We're so glad to have you visiting on Jungle Red! We love our blog sister Hallie and her opinions--it's part of her charm:). My older sister and same age cousin once enticed me to drink kerosene. We were all too young to really understand how scary the episode was--I distinctly remember we all had to drink Ipecac, which was probably the exact wrong thing to do. So looking forward to your book! "Now that we are in middle age, we try to appreciate each other for who we are. Sometimes that is easier than others." - How true! Brenda, you said a mouthful! Really, Edith! I never would have guessed that about you. Go figure! How I inadvertently tried to kill Amy (NOT the time I tried to strangled her with a scarf) -- She wanted to go FAST but all she had to ride on was a tricycle. So, helpful sister that I am, I found some rope and tied my two-wheeler to her trike and off went. She loved it until I stopped. Tricycles don't have brakes. The tricycle whipped past my bike, the rope went taut, and poor Amy was catapaulted over her handlebars. She got her revenge: she put it in a book and blamed it all on me. What a wonderful blog today! Growing up with three sisters, one 10 years older, one 10 years younger, and one 10 minutes younger, I can so relate. My twin sister and I are so alike and so different. When we were younger everyone pointed out how we are the same but as we got older we realized how different we are. We joke all the time about the genes not splitting evenly. We get a long well becasue we respect each other feelings and oddites. I'm going to look for Amy's book now. It will make great sister presents! Pat Marinelli: Was it a baby tooth? And I completely agree: It was all her fault. I don't have sisters, and even though I have terrific brothers, the relationships are way too rational to make for good essays. I am really bad with my things and have lost too many books, jewelry, purses to keep track of, so I've learned to think of favorite earrings as sort of a temporary experience. But I really like the metaphor of losing loose diamonds and I love essays - which I read instead of short stories. Your book sounds terrific. Lucy - your sister made you drink KEROSENE? Maybe I'm glad I only had brothers. Basically what you're saying Hallie, is that you played crack the whip with Amy--minus ice and skates. Welcome, Amy! I'm sitting here laughing and shaking my head at the two of you, Hallie and Amy. I'm the oldest of six with only one sister, almost 7 years younger and two brothers between us. I was the wild one, the tomboy, the one who was skipped two grades in school. She was the good girl, the only one in the family who didn't test "gifted" (by two lousy IQ points!) and felt she had something to prove. According to my mother, who didn't even like me and adored Becky, she was the beauty and I was the smart, homely one. (Photos of us at the same age can't be told apart.) On top of that, we're pretty opposite in personality. I'm sloppy, creative, and flexible while she's very neat and organized and pretty rigid. And she didn't know the neglectful Mom I did and has absolutely no memories of our abusive father, who left when she was tiny, so our memories of childhood bear little relation to each other. Lots of reasons for us to hate each other. But we don't. We're closer as adults than we ever were as kids. She's my biggest supporter and fan outside of my husband. I took her in when her first husband went violent on her and borrowed money to wire her when student loans came late as she tried to go to graduate school as a single mom. When the father of her youngest bailed on the kid, my Ben became his father substitute. I think we really get on each other's nerves sometimes because we're so very different. But we truly value each other and our relationship, so we remain close. And Carol, yes, Captcha's been a bear lately. I routinely have to go through four or more to make it. And I don't have bad eyesight. Hallie and Amy: I really enjoyed this. It's so great to see sisters interacting. I wish I'd been a fly on the wall when you four were kids. 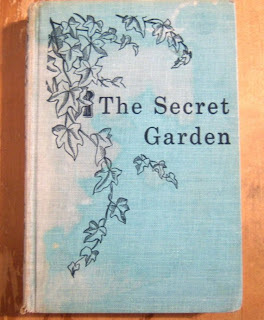 And Amy--playing the Secret Garden is exactly what I would have done as a child. A friend and I spied on a neighbor we thought had buried a body. I'm looking forward to reading the essays. Ah, you're reaffirming why I always wanted sisters. But through the magic of books, I can still pretend! Thanks to you both! Oh, you two made me sad that I didn't have a sister. I always wanted one... My only brother is nine and a half years older, so he was out of the house by the time I was eight. He was the smart one and I was the "she could do better if she tried" one. Still true, probably. I did have a boy cousin who was three months older than me. Our mothers were sisters and very close, so Geoff and I were, too. Oh, my, did we get into all kinds of trouble. We adored each other. Still do, but he lives in CA and we don't see each other often. Amy, I love personal essay--like Jan, more than short stories--and I'm so looking forward to your book. OH, yes, my sister Nina and I were--exact opposites of each other. She's three years younger--growing up--unlike me--she was FUN! And fearless. And had friends, and was gymnast and a great rider and a cheerleader and was invited to parties and actually WENT to them. I was bookish and introverted. When my sister Nancy got old enough to play with us, Nina and I would make up new rules to games so Nancy could never win. Like: "Oh, a seven. You can put a seven on ANYTHING!" Or: "It's a Hawaiian word. You're allowed to use Hawaiian words in Scrabble, because Hawaii is a state. Didn't you KNOW that???" We were pals until we were--well, until I went to high school. I guess. so nice of Hallie to host me. Thank you for offering to share! Rhys, that is so funny. do you ever wonder if you might have been right? do you know what you might have read or witnessed as a child that led you to the thought that your neighbor had a body buried in his/her backyard. gender definition, pls. think it's hysterical that you think we should do a reality show. thank goodness we live in two different cities. and it's not even a possibility! Amy: I grew up in a big old rambling house with an acre of garden. Neightbor was a grumpy old farmer and my friend and I saw him digging late one evening. He glanced up a couple of times which looked guilty to us. We spied on him and were almost (but not quite) brave enough to venture onto his farm and exhume whatever he had buried there. Looking back it might only have been potatoes. I had a vivid imagination. Strange that this comes up today and I read it just after getting off the phone with my only sister. Our world's are so different, first being that she is thirteen years older, fifties generation and I am sixties and Viet Nam. We were even raised by different parents. Hers were young, confident and full of life. My were the same people, dysfunctional, disillusioned and divorced. But there is still something between us that is not like any relationship that we have with others. Last year, we went on a road trip for two weeks to Texas from Ohio and that is the longest we have spent alone with each other in over 55 years. It was pure heaven for both of us. We were planning a road trip to Florida in November and I have just been sent to a surgeon for my untalented left foot that can no longer support me. Our hubby's have warned us that the trip is off and we are secretly realizing that we share that no one ever really tells us no when we really want something. I have done little to no walking for three weeks just waiting for the appointment so as not to to more damage. I am amazed at the amount of healing that has already happened. And the cool thing is that she knew the moment that she heard my voice. Strangely, my sister Joyce was the Amy when young and I was Hallie but now we have changed roles. She pushed me to let go and she wants the world to have rules. Of course, she still wants to be the author of all those rules. OMG a new rule for scrabble. That's so great. Hawaii words count. can you say Kea Lani (oh wait, that's a proper name...) Poke (I love poke) a sort of hawaiian street food/low end chopped tuna sushi...I think. Thanks, Hank. But not sure it'll fly. Unless it's at our house and then I can claim "house rules". Amy, I love personal essays and have several collections of them. It is clear to me that yours will join them! Sisters! I am the oldest of five children and have three sisters (X, Y, and Z) and one brother. My brother is right in the middle of the four sisters. When X and I were growing up, we referred to the three younger siblings as "The Little Kids" and we KNEW that we were far more mature than they were! )You might say we grew up in different families: for one thing, it kind of irked us that when The Little Kids were older,they did not have the strict curfews that we had had when we were their age. Earlier in my life I would have said that I had more in common with X than with the others;then there was a period when it seemed like I had more in common with Y. At this point I would say that it's an even split. The three of us enjoy getting together as sisters and have more in common with each other now than ever. I don't know if it's because I'm the oldest or if I would have been this way anyway,but I feel a strong sense of responsibility for and concern for all my siblings. The baby sister, Z, is so different from all the rest of us that we tease her that she must have come from a different planet! She was always the Party Girl,while the rest of us were bookish and interested in social justice issues. She has also had a much tougher life than all of her four older siblings combined. She has struggled with mental illness for her entire life, she has had life-threatening health problems (including more within the past eighteen or so months and just this summer had to have another major surgery), and in recent years has become totally disabled (physically and cognitively) from MS. As her oldest sister, I often feel more like her mother than her sister. (That responsibility thing again?) I even named her when she was born. Mom and Dad were torn between two different names. As the oldest, I was allowed to cast the tie-breaking vote. (And that's why she was named after a character from a kids' book. I was always more interested in reading than in playing outside!) By the way,Z is the sister I mentioned a few months ago who lives in a nursing home and had a gift for writing when she was younger. I bought her a notebook and now when I visit her each week,we do a fifteen minute writing exercise. She looks forward to it now. She always writes a thoughtful essay,while I concentrate on writing something humorous to entertain her. My sister X,closest in age to me, would tell you a story about how I tried to teach her to ride a bicycle when I was around nine and she was seven. Her version is that I forced her to take a risk that she wasn't ready for;mine is that I thought she was an advanced learner and mistakenly thought she could steer better than she actually could. She was doing really well during one of our "lessons" one afternoon so I decided that she was ready to go down a VERY slight incline of maybe ten degrees. She would describe it as a ninety degree angle. She would be wrong. We lived in a housing project. A neighbor,Mrs P, from the building across from ours was outside hanging her laundry on her clothes line. The mailman was walking past,reading the addresses on the stack of mail in his hands. I belatedly realized that X was aiming directly towards the mailman and I screamed at her to "steer!" She did. Right into Mrs P,pinning her between the bicycle and the wall of her building. But before aiming at Mrs P, X gave the mailman quite a scare. I had no idea that it was possible for a grown man to go from serenely concentrating on his job, to having a look of complete and utter terror on his face,and I NEVER that he could jump higher than a bicycle! I think he may have jumped OVER it. Mrs P didn't have anywhere to go to get out of the way. A few days later, she hobbled over to our apartment to show our parents the gigantic bruise on her thigh. I didn't try to teach any of my other siblings how to ride a bike. I don't remember if that was by choice! What a wonderful posting, Hallie . . . and welcome, Amy. Your “Loose Diamonds” book sounds marvelous and I can’t wait to read it. I have two sisters, and none of us are even remotely alike. My one sister is nine years younger and, although I have fond memories of her early years, I was gone to college and then off to work for most of the years when she was growing up. I do remember making a dress for her in Home Economics when she was still little . . . these days she wouldn’t wear a dress for anything. She, however, is only three years older than our brother . . . the great disparity in ages often makes us feel as if we are from totally different worlds. Fortunately, I do also get to say that my sisters and brother and I, despite all the differences, are friends. Vivian - that is so sweet about your sister! I have a feeling Amy would end up killing each other if we too a road trip (if at first you din't succeed...), but hey, you never know. Delia and I used to tell Amy she was adopted. Bwa ha ha ha ha. Linda R - your sister sounds like a treasure, and it sounds like you appreciate each other. I used to insist I was a princess-- left, by mistake, on my parents' doorstep. And that SOME DAY they would find out. And then they'd be be REALLY SORRY they were so mean to me. Amy, We have a million new rules. Do you know in Clue, if your birthday is in October, you can take one peek into the little envelope? My sister and I are so different...I rather envy her. She's high-energy, highly organized, one of those capable people who can work a full day, cook dinner, oversee the kids, plan a fundraising dinner for two and stay in touch with all her friends old and new - and then get up and do it all over again the next day. Me? So very not like this. The things I forget? Coals. I've made it a habit to forget as many bad/irritating/unpleasant moments as possible (unless I can turn them into funny stories.) I am a very happy person as a result. I ADORE THESE LADIES. I WISH THEY WERE MY BEST FRIENDS. Also, thanks for the comments everyone! So glad you liked it. Check out our reality show, premiering on the 4th of Never. Hank Phillippi Ryan: What envelope? My mom used to tell me that I was left on the doorstep by astronauts from the moon. Anonymous: Thanks! We wish you were our best friend too. I have a (self-described) pinko Commie friend who'd pose the question, "Of the three characters in The Secret Garden (Mary, Colin, Dickon), which one did you identify with?" I answered correctly (for her). She claimed she could always tell whether someone was friend material by how they answered the question. Whew! I had two sisters, now one. We still have family get-togethers multiple times a year for holidays and bdays. We're friends on Facebook. But, yeah. It's complicated. Especially because we grew up sharing a bedroom and are totally different people: E/I, messy/neat, even the colors we gravitate towards are wildly different. At one point we took a roll of masking tape and made a line down the middle of the room. (Our beds were on opposite walls.) With the explicit "Do not cross that line onto my side or else." Of course it got a bit difficult as the door in and out of the room was on one side of the line and the door in and out of the closet was on the other. Sal, my sister and I had to share a bed. I diligently defended my half of it! I'm way better friends with my brother than my sister. I have a younger brother who acts like an oldest. I am the bad one. He is the good one. That is why their is a five year gap between us. His kids love me, the nutty aunt. never played secret garden. Used to play aliens with this kid richard on the playground. We were two alien kids trying to get back home. We were on a hostile desert planet where we felt misunderstood and disenfranchised. It was fun. I want to thank everyone for their amazing comments. But mostly Hallie and also everyone else who understands sisters, friendships between women, and the complications of modern life! Hallie, I have an idea for a new game can we play work (instead of school) we could call it the office. You can be boss (or we can flip for it) but I bet we could invent a funny game (better than the apprentice for sure! since we're in reality game show territory apparently.